One word to describe the first episode of clannad: excellent! I’m enjoying every minutes of this episode of Clannad. It is turn to be better than i expected overall. But i still prefer the previous opening and ending theme than the current ones. In term of production, Kyoto animation done a very great job as usual. In summary, we can the most of the cast participate in baseball games. We can see more and more of Sunohara’s idiotic acts and how easily he can being manipulated by Okazaki. LOL. I would like to see Yoshino Yusuke(voice actor:Hikaru Midorikawa) getting more screening time in the future. I enjoy watching him try to act cool, giving some kind motivation speech in the field while he was running to first base (kinda of remind me of Judas in Tales of Destiny). 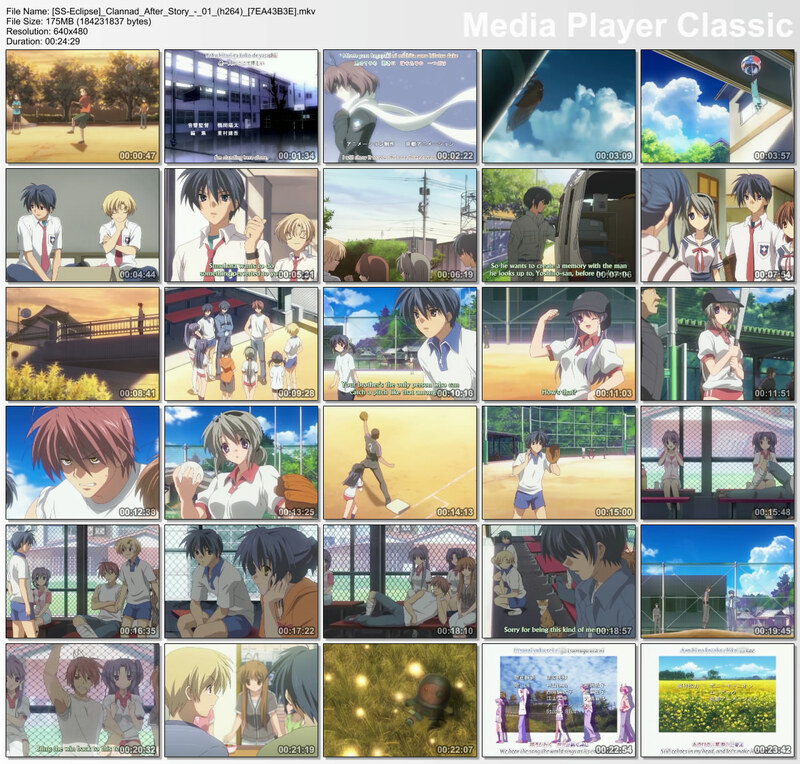 This entry was posted in Anime and tagged Clannad ~After Story~ - 01, Clannad ~After Story~ - 01 review by mofandom. Bookmark the permalink.